Yesterday Squarespace announced a change to their pricing plans, the rates stayed the same but they moved some of the features away from the Personal Plan and onto the Business Plan. The Circle community of web designers exploded and there was a lot of dissapointment, anger and frustration. I was right there with everyone. 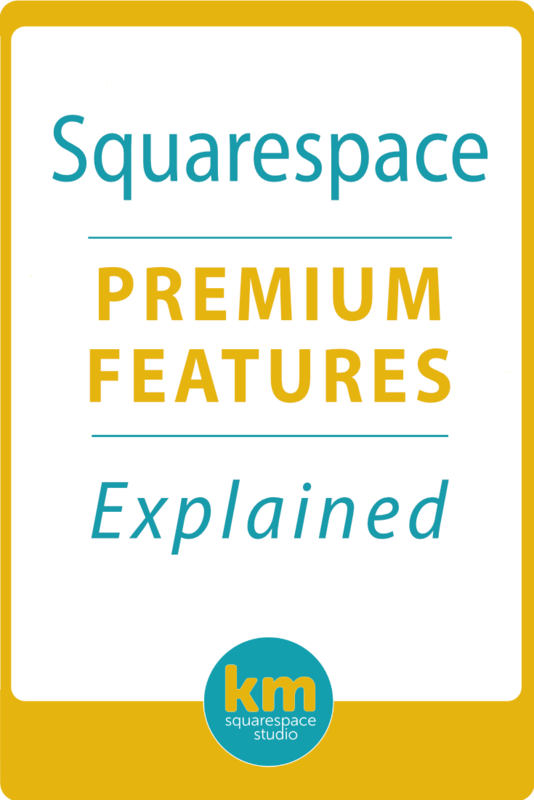 While I understood Squarespace's need to align their pricing with their business goals, in my experience it's never been a good strategy to strip away features from an existing and popular product and push customers to a higher tier to get those features. It's an austerity measure of sorts and it left a bad taste for those of us who are such ardent supporters of Squarespace as well as passionate advocates for our own clients. I also think many of us felt so upset because we are solo businesses and what affects our business impacts us directly and personally, so emotions can run high. However, after a day of feeling quite worried I decided to take the emotion out of it and return to a more constructive way of dealing with a professional matter. Squarespace made a business decision. And while it means that customers have to pay more for certain features, in the bigger scheme of things Squarespace continues to offer a stylish, user friendly and feature-rich platform with amazing 24/7 support, all at a reasonable cost for creative entrepreneurs and small businesses. I still love them as a platform and as a business! Of course when I say reasonable I realize that this is a subjective term. But this is perhaps one of the most important lessons I am learning myself over and over again: there is a cost to running a business and as a responsible proprietor I have to decide what is important to me and my business, and how much am I willing to pay for that. In my view, an annual fee of $216 for a great looking, well functioning and 24/7 supported professional website is still a good and worthy business investment that will see returns many times over. Important note: existing plans and trials started on or before November 30, 2017 are grandfathered in and will retain their legacy features.